Leaf peepers throng to our mountains in the fall, and happily there seems to be a pickup in sales at Woolworth Walk. 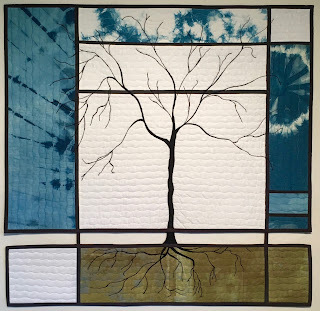 I say goodbye to these two quilts.....Growing Strong is a favorite piece of mine. If there had been a place to display it in our home, it would have stayed there! I'm VERY persnickety about accuracy & workmanship. 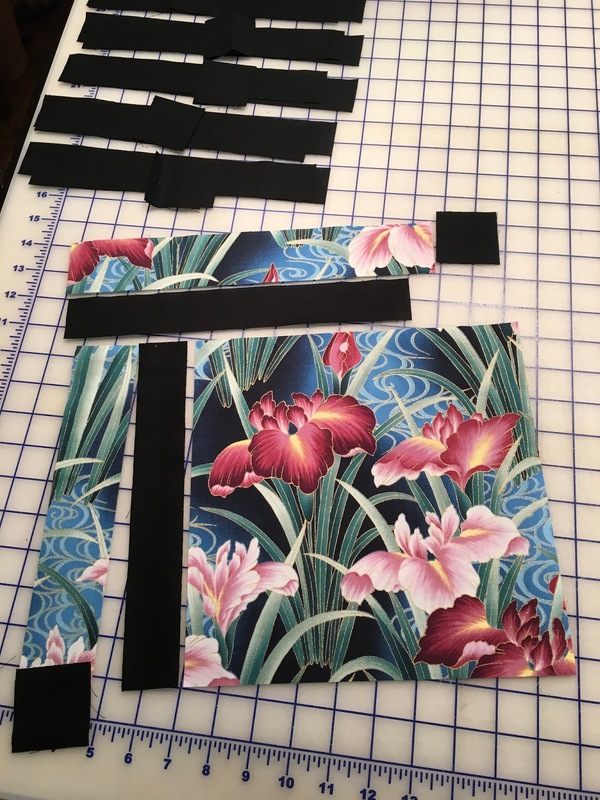 In order to take advantage of fabric pattern designs, I literally cut each block with an eye to where they would be sub-cut. Yup...they are all placed on my design wall to make sure I don't mix them up! FYI - The 2nd and 4th rows are spliced on the bottom and right side of their blocks. Not all blocks are sub-cut the same way.....so each of the setting strips and squares have been pre-cut. 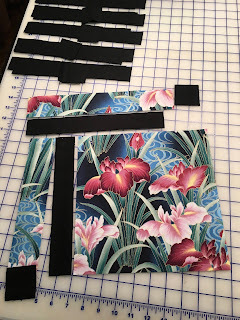 I worked on only 1 block at a time...no chain sewing.....I'm way too easily mixed up. 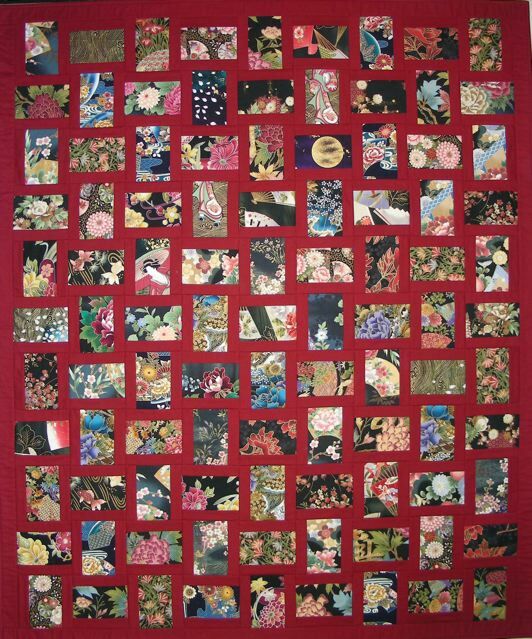 Each of the block pieces were arranged before stitching. Of course I still found myself having to use the seam ripper. I guess my attention roamed too far as I was enjoying some Project Runway binging at the same time. 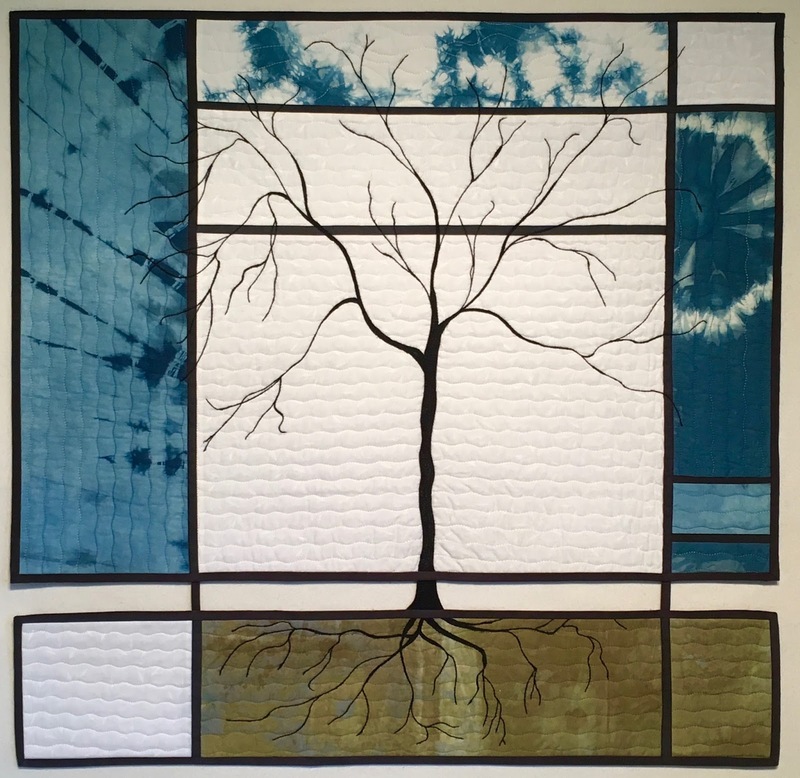 Check out what other artists have created this week: Nina-Marie's Off The Wall Friday, Sarah's Whoop Whoop Friday, and Crazy Mom Quilts. That looks like a persnickety pattern, so you are smart to do it one block at a time! Glad sales are picking up a bit! Congratulations on the sales! Don't we love those leaf peepers - love to see them come, spend their money and then love it even more to see them go :-) Vermont is a lot like your neck of the woods. I couldnt' have said it better myself......love those leaf peepers...coming and going! Growing Strong is a gorgeous piece and I don't recall seeing it before! I'm so glad it's going to a home where it will be loved! And you're right about sales leading to motivation.... Good luck with your stitching! That's a good pattern choice for those Asian fabrics. You will surely have some fun once the blocks have been completed! I'm so happy that "Growing Strong" has sold. I like you have some favorite pieces that I really can't display. It's difficult to think of parting with them,, but when one sells, I am inexplicably happy to find that someone else likes it as much as I do and will have it up in their home. Wow, more Asian fabric to piece. You are doing an excellent job in your carefulness. Had to laugh at seeing Tim on the tv screen. What a season this is! 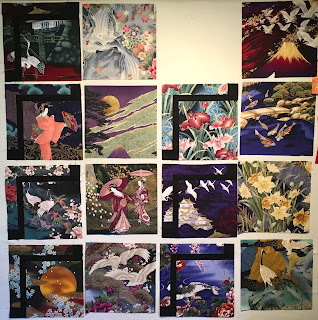 Mary Stori creates one-of-a-kind art quilts featuring bead embellishment, hand embroidery & machine stitching on artist created fabric such as hand dyed felted wool, screen printed or hand dyed cottons. 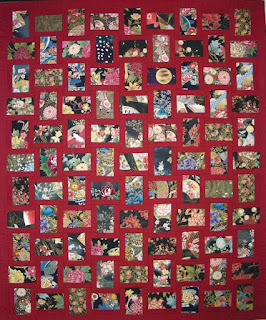 She declares, 'Mistakes are merely design opportunities, forcing one to experiment and grow, making an ordinary quilt, extra-ordinary!" It's been a fabulous 25 years! 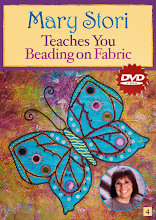 In 2015 my teaching career on the quilting highway concluded. 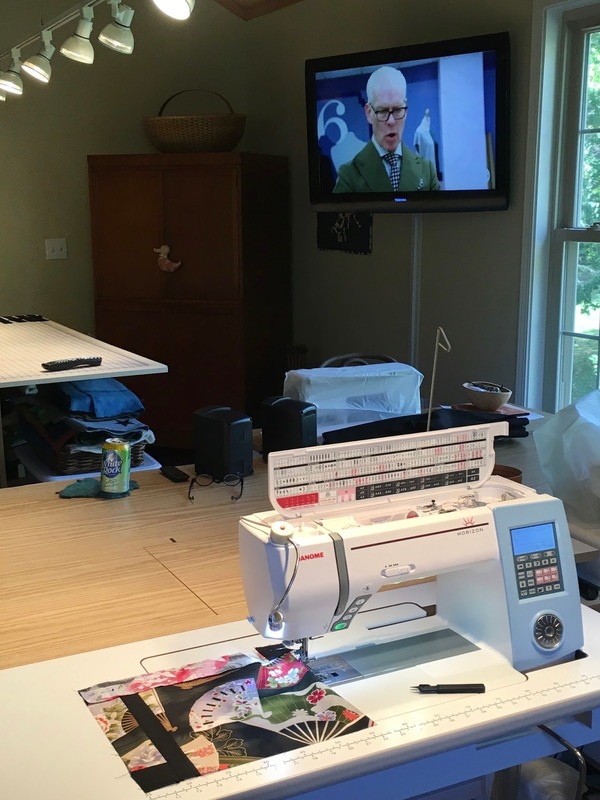 My focus has been redirected toward creating and selling my art. I will not be retiring to a Lazy-Boy rocker!